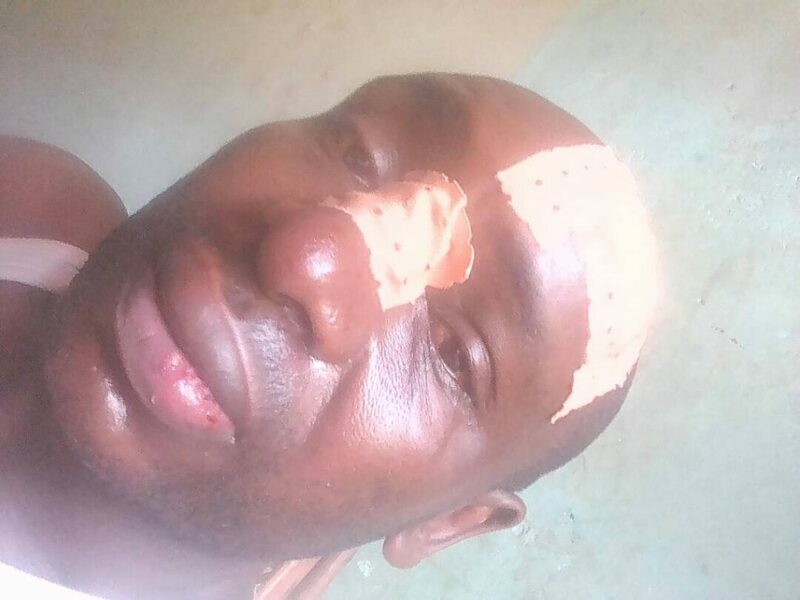 An anglophone journalist, Akumbom Elvis Mcarthy, renowned Pidgin presenter at Afrique Nouvelle and former host of a radio show at NDEFCAM Bamenda, Cameroon, on the truth of the Anglophone crises was assaulted by men in uniform at 8 pm local time, on Friday 24 November 2017, at his residence. Macarthy told Gina Informs that these men with guns in uniforms, knocked at his door, and he opened thinking it was a neighbor. “They had pulled off my security light, before knocking at my door” he explained. He was left alone and his neighbors could not help him because they were being pushed back by one of the men in uniform with a gun. “At some point in time I stopped shouting because I was at gun point.” When he remained quiet the beatings stopped. The men in uniform only left after his neighbours started shouting and putting their security lights on. They left with his laptop, recorder, phone and 43,000frs. McCarthy has been suspended indefinitely from practicing journalism in Cameroon, which leaves doubts as to why he was brutalized. According to McCarthy, the Governor of the North West Region had asked the Regional Delegation of Communications to suspend him some three months ago. The radio he worked for; NDEFCAM, was sealed as a crackdown of the government on media houses which constantly spoke about the anglophone crisis and the CEO had to pay 300,000 FCFA for it to be open. The North West and South West Regions of Cameroon have been heavily militarized since September ending as Anglophone separatists planned to declare their independence on the 1st of October, 2017.